In a video message recorded specially for business support programme Velocity and played to over 60 businesses in Northamptonshire last week, Business and Enterprise Minister Matthew Hancock MP helped launch a new series of 58 free business workshops. In his message, Matthew Hancock MP said that a key part of the government’s work with SEMLEP, which is delivering Velocity across the South East Midlands, is to make sure that support of this nature is available to help businesses grow, and encouraged them to get support for training or skills to ensure people have got what it takes to make it in business. 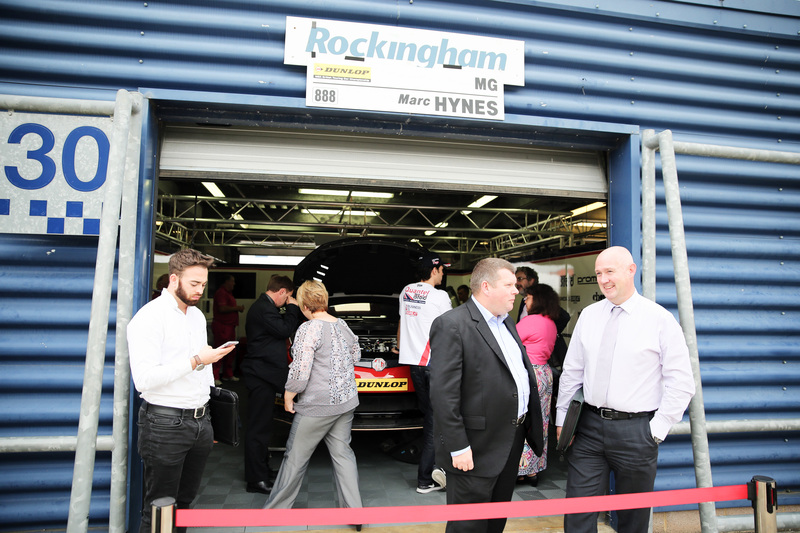 Mr Hancock’s message was played at an event held at Rockingham Motor Speedway in Corby during the British Touring Car Championship meeting last weekend, as part of the Business Is GREAT Britain campaign. He said: “Government’s role is not to do the job of businesses but to make it easier for you to do your job”. Mr Hancock concluded his message to the business community saying: ‘hopefully, by supporting events like this, we can help to make sure we have a vibrant business sector creating the jobs and prosperity that everyone wants to see”. Following the Minister’s video message, businesses heard from a range of speakers on topics including apprenticeships, intellectual property, local sourcing and entrepreneurship. Velocity’s free business workshops start this month and run until June 2015, taking place in Cranfield, Daventry, Towcester, Northampton, Aylesbury and Luton. The events, with nine topics ranging from Smash Your Sales Targets and Digital Marketing to New Ways To Finance Your Business, are for owners and managers of small businesses. The workshops are free and will equip owners and managers with the knowledge and skills to grow their businesses. Businesses in the South East Midlands can take advantage of free, first class support and information from Velocity via its website, advice from its business advisers and telephone helpdesk, together with grant funding. For more information about the workshops and how Velocity can help visit www.velocitybusinesssupport.com/workshops or call the Velocity helpline 0300 01234 35.